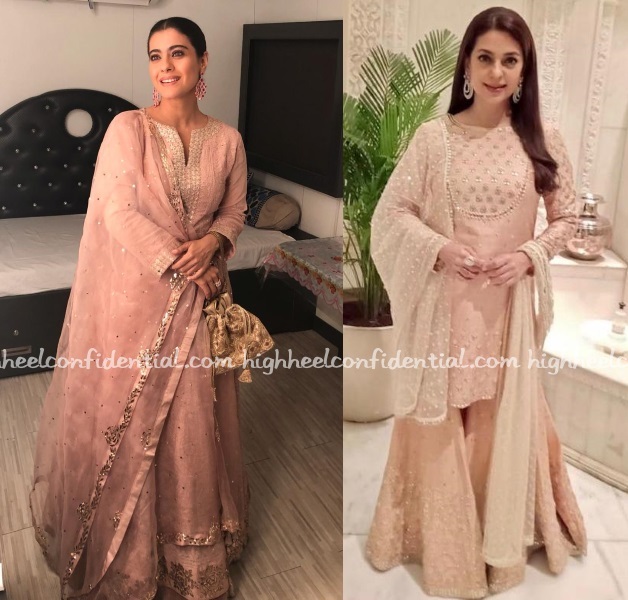 Wearing a pink suit, Juhi landed in Uaipur for the Ambani-Piramal wedding festivities. Comfortable as they might be, those wedges aren’t something we can warm up to. But that aside, the color of her suit looked lovely on her; Juhi looked nice! 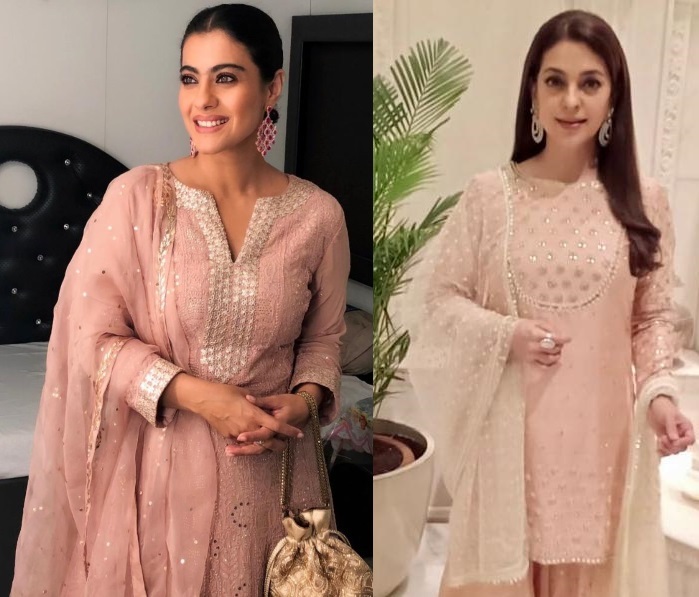 Kajol and Juhi wore pink to Shah Rukh Khan’s Diwali party on Saturday evening with the former wearing a Faabiiana and the latter, an Abhinav Mishra. From what we see, we like.